Even after nearly three decades as a member of NC State University’s faculty, Dr. Hiller Spires still wakes up excited to come to work every day. “NC State has a vibrant community of scholars, and there is certainly no shortage of intellect and great ideas. But that’s not enough for us,” she said. We’re also about doing and making an impact. This is demonstrated in every corner of the university. 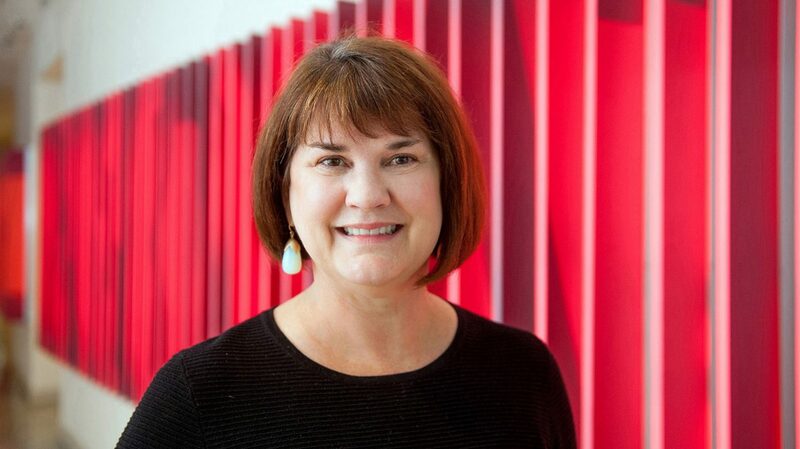 Spires is a professor of literacy and technology in the College of Education’s Department of Teacher Education and Learning Sciences and a senior research fellow at NC State’s William & Ida Friday Institute for Educational Innovation. At NC State since 1986, she has been part of the university’s evolution. Spires’ academic focus is literacy. She works with the Teaching and Leading Literacy program, which educates graduate students to be the “next generation” of literacy specialists by improving understanding of struggling and developing readers. She also works internationally through the Friday Institute, connecting teachers from China with counterparts in North Carolina for collaboration. Spires is currently working to help build a state-of-the-art school in Suzhou, China. As an educator and researcher who works directly with students and with practitioners, Spires knows that private investment is essential for the College of Education and for NC State as a whole. Private dollars support a wide variety of programs and initiatives across the university. Such support is increasingly vital to NC State’s future as public funding for higher education continues to erode. “Private support is invaluable for preparing the next generation of educators. Private support can provide scholarships for students who may not be able to afford an undergraduate or graduate degree,” Spires said. It all starts with private giving. A South Carolina native, Spires remembers hearing her mother say that acts of kindness, no matter how small, were never wasted. It’s a principle she has carried throughout her life and career. At NC State, Spires found a number of ways to support her passions — education and the arts. Spires is able to contribute to education through her research and work with students. She also has provided financial support for the College of Education, the Friday Institute and ARTS NC STATE. In addition to financial support, Spires — who is also an artist — volunteers her time as a member of the Friends of ARTS NC STATE Board of Advisers. “The university has a wealth of opportunities for people to make contributions,” she said, encouraging fellow faculty and staff members to find areas that appeal to their interests. Working at NC State gives faculty and staff the unique opportunity to see firsthand the difference their support can make at the university.